Saturday november 2nd we are screening another documentary by the Submedia.tv collective. We will have a short introduction before and room for discussion afterwards. The bar and library will be open. The documentary is in ENGLISH, we will have dutch subtitles if these are available. ADAPT AND DESTROY: Counterinsurgency and Social War Despite the unimaginable capacity for violence and coercion that they wield, states are far more vulnerable than they let on. This is not only true of the so-called “failed states” currently plagued by civil war and internal strife, but also the imperialist centers of global capitalism themselves. Their fatal weakness is built into their design; modern states are incredibly complicated and dynamic political constructions, yet at their core they remain what they have always been – vehicles of social organization aimed at facilitating the exploitation of the many, for the enrichment of the few. Without the active or passive consent of the many, the few are in serious trouble. In order to seek out and manage threats to their legitimacy and authority, states invest a considerable amount of time, energy and resources towards the science of social control. This science, known as COIN or Counterinsurgency doctrine, is nothing less than a perpetual war, waged by states against their domestic populations. Their tactical repertoire spans the gamut from violence and covert assassination, to elections, community police liaisons, and the funding of pacifist non-profit groups. In addition to this, they pursue divide-and-rule strategies, relying on structural institutions such as nationalism, white supremacy, and hetero-patriarchy to fan the flames of reaction and keep us fighting amongst ourselves. 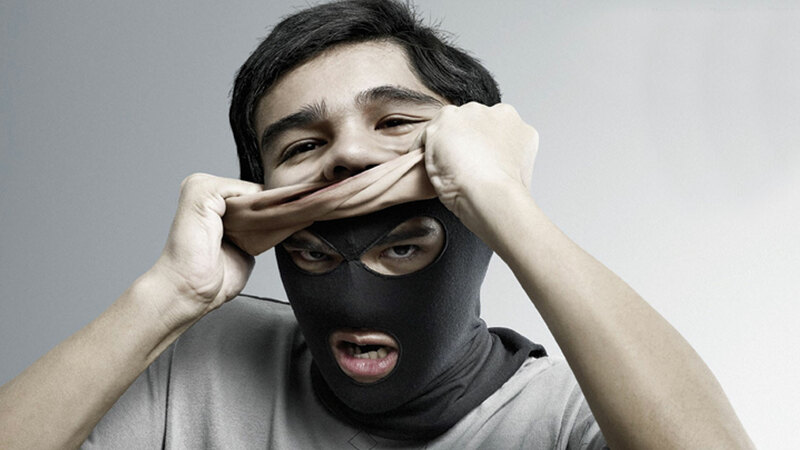 If revolutionaries hope to be successful in our efforts, it’s vitally important to understand the way our enemies view us, and the tactics and strategies that they will deploy against us. In this month’s episode of Trouble, anarchist media collective sub.Media interviews a number of individuals as they explain some of the main principles of counterinsurgency, and identify historical and contemporary examples of how they are put into practice. De G20 is een bijeenkomst van de leiders van de 20 meest geïndustrialiseerde landen die besluiten nemen over de economische koers van de wereld. In juni 2017 kwamen de zelfbenoemde wereldleiders, waaronder mensen als Poetin, Erdoğan, Trump en leiders van landen als Saudi-Arabië en China, bijeen in Hamburg. Terwijl zij probeerden te vergaderen over de voortzetting van hun uitbuiting van mens, dier en milieu, waren er 100.000-en demonstranten bezig om de aandacht te vestigen op deze groep criminelen die zich in Hamburg verzameld hadden en om ervoor te zorgen dat zij niet ongestoord hun gang konden gaan. ministerie. Maar tot 2,7 jaar, door een rechter die bij deze veroordeling duidelijk iets anders dan gerechtigheid in gedachten had. Vandaag (en elke zaterdag) is er in de anarchistische bieb gelegenheid om hem te schrijven. 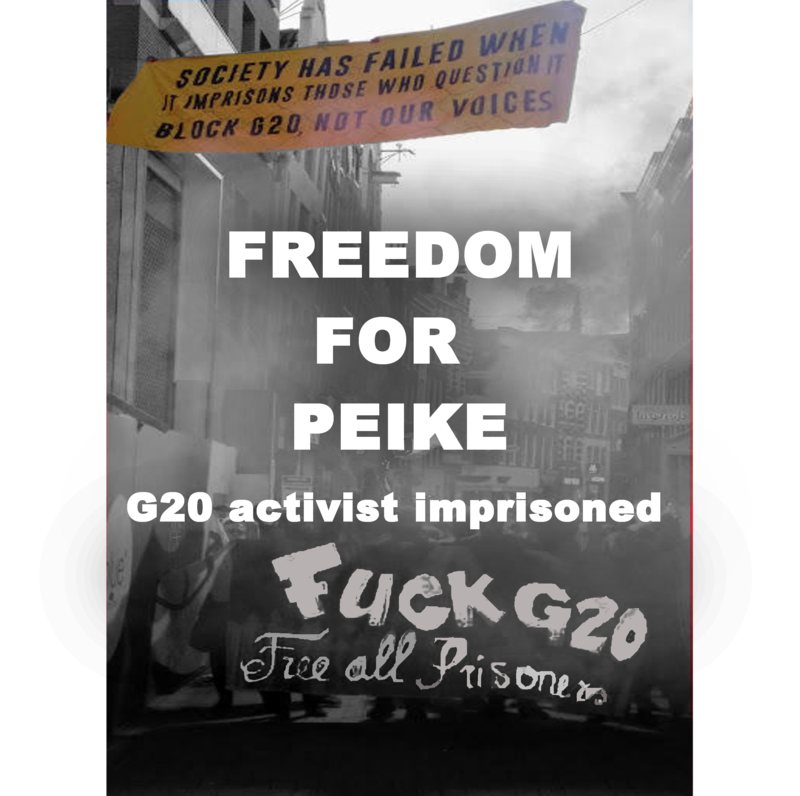 De opbrengst van de bar van deze avond gaan naar Peike, uit solidariteit met hem en uit afschuw van alles wat de G20 is. De Vrije Bond heeft een bankrekening opengesteld voor het inzamelen van donaties voor ondersteuning van Peike in de gevangenis.